for Single-Family Grande Villa Porto Romano Homes! The last section of Porto Romanohomes for sale is available in Miromar Lakes, with construction by the noted builder WCI. 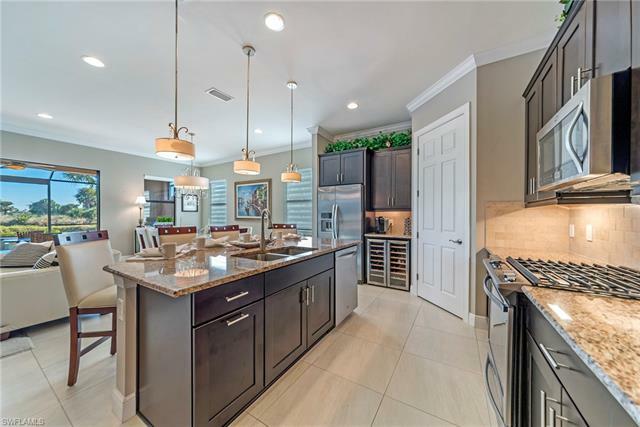 Twenty two villa homes in this luxurious gated community will occupy home sites with desirable golf or lake views. Watch the action on the Arthur Hills golf course or the peace of sunshine on the blue water. Two single story floor plans, with pre-construction pricing starting at $500,000, feature your choice of six Mediterranean or Italianate exterior elevations with concrete tile roofs and pavered drives. Each villa provides over 2200 square feet of air conditioned living space with 3 bedrooms and 2 ½ or 3 baths. A screened and pavered lanai brings you outside to enjoy the wonderful natural surroundings and beautiful views. Each home has a flex room that can be used as a den, office or guest room. Several design options, such as a summer kitchen or French doors are available to help make your home a comfortable oasis suited to your lifestyle needs. Quality construction, fittings and finishes insure a home to delight you, your family and friends. And as one of the Miromar Lakes communities, you have all the amenities the award winning property affords its residents. Porto Romano is another of Miromar’s luxury gated enclaves with homes for sale. Including 55 luxury villas nestled in the Arthur Hills “Signature” championship golf course, homes for sale in Porto Romano offer over 1,800 to 2,400 square feet of living space. Constructed by Kings Gate Homes LLC, each Porto Romano home offers a one story floor plan with Mediterranean detailing. Features of these luxurious private villas included concrete tile roof, paver driveways, corbels, arched windows and decorative banding. All homes in Porto Romano also enjoy either a golf or lakefront view. Those who choose to live in Porto Romano’s beautiful gated enclave have the option of two home types, the Bonaventura and the Flora. With a stunning 2,300 plus square feet of living space, the Bonaventura is a one floor luxury home with 2 or 3 bedrooms and an optional den. Other features that set the Bonaventura apart include its wonderful energy saving features included such as R-30 insulation to assist in climate control as well as an energy efficient passive roof ventilation system. All appliances are also energy efficient as well as attractive. Smaller, yet no less elegant and tasteful the Flora home design features over 1,800 square feet of interior living space. Rooms include 2 bedrooms with the option of 3, as well as 2 bathrooms and a 2 car garage. Other features include a bonus room, den area, and a summer outdoor kitchen area for entertaining or simply enjoying the view. As with the Bonaventura, energy efficiency is another feature of the Flora to further enhance your new home in Porto Romano. The homes in Porto Romano are more than an energy saving option, they also enhance your luxury lifestyle by offering the finest in interior features, as well stylish recessed lighting and decorative touches throughout. Take a look at the last section of Porto Romano to be built!. Call me at 239-898-6865 or send an email. 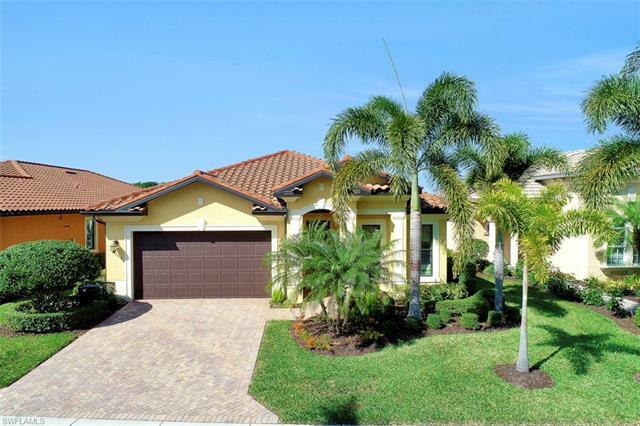 As a specialist in the Miromar area, I have all the information you need to decide if one of the Porto Romano homes for sale is for you.